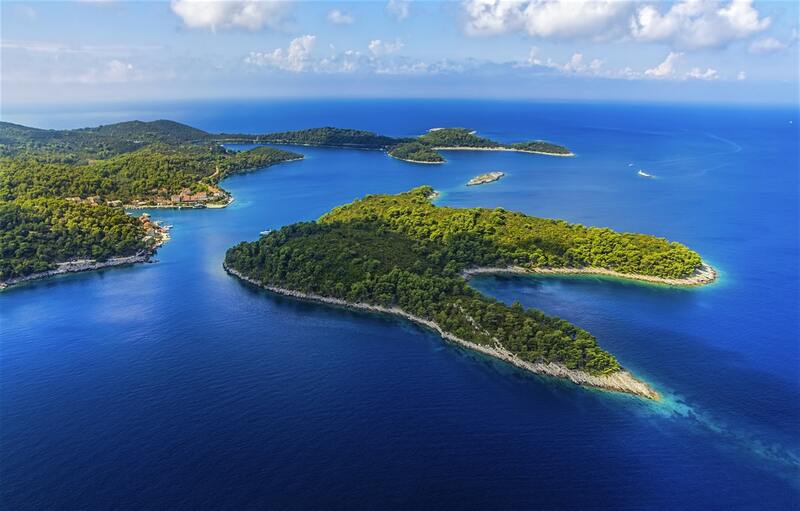 The Elaphiti Islands are a great environment for people seeking pristine scenery in Croatia. The archipelago comprises of 13 islands and has a total surface of about 30 square kilometers. The permanent population of the islands does not exceed 850 inhabitants, but loads tourists come here during summertime. Only three of the islands have resources for tourists, namely SIpan, Lopud and Kolocep. Lopud is the most known for its sandy beaches. The islands seem to be inhabited for at least one thousand years, as Kolocep has seven pre-Romanesque churches that date back from the turn of the millennium. Elaphiti Islands are able to provide both cultural and recreational venues, depending on your preferences. You can visit churches on Lopud island or you can head to the coastal area and take a walk on the esplanade. Boats to the island leave from the Port of Gruz in Dubrovnik where you can reach any of the three islands. Ticekts cost 23 kn for adults, while children between 3-12 benefit from a 50% discount. Children under 3 can travel for free.